If you’re looking for the best electric pressure washer for your upcoming cleaning and washing needs, then look no further – we’ve gathered our technical expert results from testing numerous models, as well as collected customer pressure washer reviews and feedback to reveal the best electric water pressure cleaners on the market. Whether you’re in need of a quality washer to clean your home and yard, looking for the right pressure cleaner to wash cars/boats/caravans, or are thinking of investing in quality cleaning equipment for your business, we’ve got the lowdown on the best electric options available. It is very convenient to check pressure washer reviews before purchasing. This article looks at results from expert testing and customer reviews to crown the best electric pressure washer models. In terms of a cleaning tool for your home or business, it’s hard to beat an electric pressure washer. Today’s electric pressure washer’s pack more punch than ever, thanks to the technology advances over recent years. Our advice is to work out what you want the pressure washer for then make sure you choose a model that not only has enough pressure, but also a good flow rate so you can get the job done quickly (see our helpful Pressure Washer Selection Guide at the bottom of the article). Generally speaking, the larger the job, the larger the pressure washer you’ll need to get the job done in a timely manner. When it comes to work around the home, there isn’t much the powerful Gerni Super 140.3 Plus can’t handle. With 2030psi pump, 2.1kw induction motor and a 10m steel braided hose, it really is the ultimate cleaning machine for all domestic tasks; cars, boats, driveways, outdoor furniture, decks, side of house, patios, paint preparation, gutters, brickwork, retaining walls and more. What’s more, it comes with an awesome array of accessories, including the Patio Plus Cleaner, Auto Brush, Foam Sprayer, Turbo and Tornado Click & Clean Nozzles, Auto Nozzle – plus onboard storage for them all. The Click & Clean nozzle system makes it quick and easy to change nozzles so you can swap from cleaning your driveway to your car in one swift maneuver. Furthermore, you can add on optional accessories for sandblasting, boat cleaning, drain and tube cleaning. 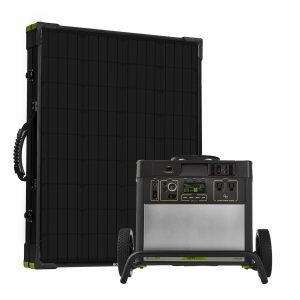 The great thing about the Gerni Super 140.3 Plus is that it’s designed and built for Australian conditions. So if there are water restrictions – and there often are! – simply connect the pressure washer to a bucket or tank. And this electric pressure washer also comes with a generous 5-year domestic repair warranty. According to our pressure washer reviews, this is one of the most best rating pressure washers. Why do we rate it? : It’s the most popular domestic electric pressure washer largely because of the extensive accessories (see video below) that comes with it so all the home tasks are covered. But also, customers know that with Gerni, they know they are getting premium quality – its part of a global brand being one of the world’s preeminent manufacturers of professional cleaning equipment. Looking for an electric pressure washer that can manage jobs around the home and general business cleaning tasks? The AR (Annovi Reverberi) Blue Clean is a great candidate. This keenly-priced, 2200psi electric pressure washer comes bundled with twin detergent tanks and a heavy-duty axial pump with a brass manifold, including hardened stainless steel plungers. Because it only weighs 27 kilograms, the AR pressure washer is easy to move around and comes with handy storage for accessories. AR Blue Clean is an Italian brand and a global leader in premium cleaning equipment for domestic and commercial tasks. This pressure washer is manufactured in Italy and built to last for all the jobs you need around the home as well as lighter trade and commercial tasks such as small equipment washdown, smaller outdoor hardstand areas, vehicle cleaning and general quick washing business tasks. Why do we rate it? : Popular with people who are sole traders or run a small business requiring occasional washing jobs, but also likely to want some home cleaning done also. For the price, a top choice overall. If you’re in the market for a really heavy duty electric pressure washer that’ll last for years and perform any task you throw at it, then reach a little deeper into your wallet and nab yourself one of these beauties. The Gerni Poseidon 5-30PA is one of the first ports of call for agriculture, industry, construction and automotive use, due to its 1450-rpm motor, 3 ceramic piston pump for intense use, and incredibly ergonomic design. The Gerni Poseidon 5-30PA is a premium quality electric pressure washer for business cleaning tasks. This commercial pressure washer provides almost 12 litres per minute of water flow and it can be used for up to 5 hours per day. It not only has the tough and sturdy design you need for business use, but also comes with all the little touches to make life (and work) that bit easier. Like the easy storage of accessories, cables and hoses, and the robust yet foldable transport handle. Our pressure washer reviews can be very helpful for you to decide which to purchase. Why do we rate it? : The pressure washer is designed to be highly mobile, with large rear wheels plus a front castor wheel or foot for stability. 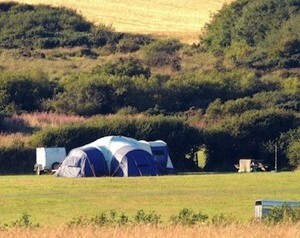 There’s also easy access to the pump, which means any maintenance tasks can be done quickly and cheaply. This high performance electric pressure washer comes with a 3-year commercial warranty from Gerni – you want peace of mind for intensive requirements. 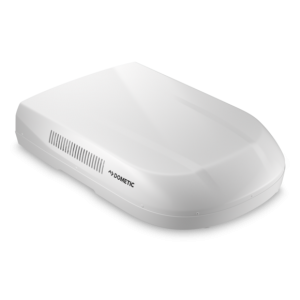 The Gerni Poseidon 5-30PA is designed for the agriculture, construction, automotive and general business industries. If you’re working beyond the length of the power cable then check out our other list of pressure washer reviews: best petrol pressure washers. Lastly, the below pressure washer selection guide may also help you when choosing an electric pressure washer; the table classifies washers based on the type of task, size of task and how regularly the unit will be used…remember; the larger the job, then the larger the pressure washer required to get the job done in a timely manner. My Gerni has a lot of power. Great for cleaning spider webs off my house and my gutters. Did a great job cleaning my car also. Easy to assemble, hookup and use. Electric pressure washers can be considered to be the second generation power washers. They don’t run on fuel neither are they hard to maintain. Thanks for the informative post. 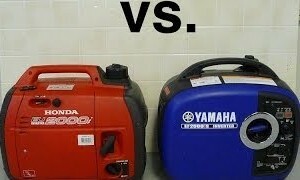 The better Inverter Generator: Yamaha or Honda? 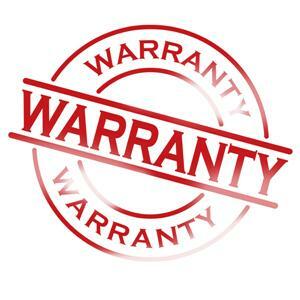 What kind of warranty comes with a generator?